Energy Savings California not only does solar but we also install windows & doors. 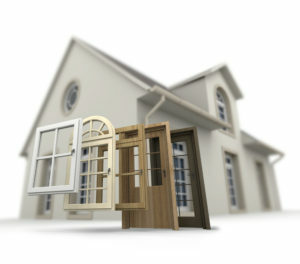 Our motto is “Reduce Before You Produce”, therefore we find there is a huge loss of energy thru doors and windows. In some cases we find it necessary to replace certain items in a home before a solar installation takes place. Safety – Helps dampen the spread of attic fires. Reduce PPM chemical cumulative overload, HVAC back drafting and CO circulating through duct system. Health – Increased indoor air quality, less: dust, mold spores, rat droppings. Comfort – Even temperature no hot and cold spots or drafts by room to room. Decreases the stack effect lowers temperature difference from ceiling to floor from about 13 to 4 degrees. Quality – Building Performance Institure Standards – No Higher. Social Responsibility – Decrease your environmental footprint. Energy Efficiency – Energy Star Compliance and Title 24. Increased Re-Sale – Over 100% return when selling, no deduction for not having a new buyer can ger Freddie Mac/Fannie May Federally insured loan on Energy Compliant home. Rate Security – Levelized rates with full tune up. If your home has very old and or inefficient windows, it might be more cost-effective to replace them than to try to improve their energy efficiency. New, energy-efficient windows eventually pay for themselves through lower heating and cooling costs, and sometimes even lighting costs. When selecting doors for energy efficiency, it’s important to first consider their energy performance ratings in relation to the local climate and your home’s design. This will help narrow your selection. Your home’s exterior doors can contribute significantly to air leakage, and can also waste energy through conduction, especially if it’s old, uninsulated, improperly installed, or improperly air sealed. Weatherstripping can reduce the energy losses due to air leakage. 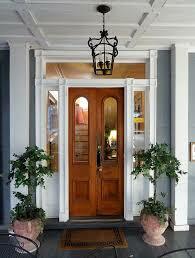 New exterior doors often fit and insulate better than older types. If you have older doors in your home, replacing them might be a good investment, resulting in lower heating and cooling costs. If you’re building a new home, you should consider buying the most energy-efficient doors possible. By installing a solar system, you will not only benefit yourself with clean free power but also benefit the environment by reducing harmful pollution. Our Home Energy audit is a comprehensive whole-house approach to identifying and fixing comfort and energy efficiency problems in a home. That is Home Performance. 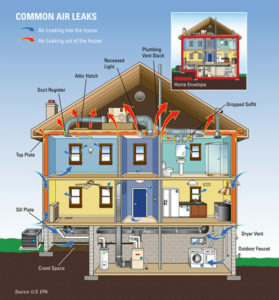 When you choose Energy Savings California, a professional and accredited Home Performance contracting company, you get a member of the elite – a company that has proven to have the knowledge, experience and skills to diagnose the root cause of the problems in your house and the ability to provide solutions. If you are investing in increasing your home’s efficiency, then your should also look at reducing your energy bill further, and helping the environment, by investing in a Solar Energy installation. Solar energy arrives on earth for free. In fact, enough sunlight falls on the earth EVERY 60 SECONDS to meet the earth’s energy needs FOR A WHOLE YEAR! With the solar systems from Mage Solar, which we install for you, you’re ready to harness your share of this free, renewable, and clean, energy source! Take control of your power and your wallet. America, as a country, is blessed with abundant sunshine. The accompanying chart shows details of the amount of sunlight for your particular area. Utilizing a solar system from Energy Savings California is more than just an eco-friendly move though! A well designed PV (Photovoltaic) system will benefit you financially and partly, or even fully, free you from the treadmill of rising power prices and the big power companies.